How did all this begin and what’s been going on recently? My name is Wedge, and some years ago I created a web page that simply expressed my unhappiness and talked about my personal self injury. At that time, back in the year 2000, I had found that I was not alone in my self injury, that the web contained some information on self injury; however, I found that the more established websites were American. I created my personal self injury pages, and my site grew in size and popularity; it wasn’t long before I was getting several emails everyday from people in distress, wanting more information and support. I recognised that there were people ‘out there’ in emotional distress, trapped in their self harm, alone and fearful; just like me. More than that, shockingly to me, I found that as I had ‘come out’ about my self injury, friends of mine were coming to me and telling me that they were relying on self injury as a coping mechanism too. I was overwhelmed; being alone was one thing, but now I was saddened to find that people I loved dearly were also trapped by habitual self injury. In May 2002, I sent an email to some of my dear friends around the country, asking them if they would be part of a Voluntary Organisation, one built on democracy, openness and transparency. To my astonishment, everyone said yes! Some time later, we had a name, a Constitution and LifeSIGNS (Self Injury Guidance & Network Support) was born. In 2002 we launched the original white coloured website, and I began to think about removing my personal self injury website. We needed to promote ourselves as a group, as an organisation, and so in 2003 I think, my personal pages were removed from the web. A great deal of my less-personal content was transformed for publishing on the LifeSIGNS website. In 2002 we really didn’t know what LifeSIGNS could do, we knew there was a need for such an organisation, but we were unsure what direction to take. One decision we intuitively knew to be right was to offer a membership based Newsletter, and Laura took the role of Editor. It was this Newsletter that brought so many people to LifeSIGNS, and we felt that people’s support of the Newsletter was validation of LifeSIGNS. On the 22nd of July 2002, Laura and I were invited to the London MTV television studies to appear in an episode of ‘The Wright Stuff’ which was focussing on self injury. It was a live show, and we didn’t get time to mention LifeSIGNS, but Matthew Wright (presenter and host) plugged my personal self injury web page as being an excellently written site, and my web-hits went through the roof that day I remember! I discussed my self harm candidly, and was honest and frank, if a little nervous; thankfully there were other guests who bravely opened up, and it was such a positive show that Matthew promised to do another one, which he did about a year later or so, and our friend Sian mentioned LifeSIGNS for us. LifeSIGNS was featured again on the Wright Stuff in 2005, thanks to Jenny. In 2003, LifeSIGNS was getting requests from universities and hospitals to give ‘talks’ about self injury. We guessed that our original website was getting more popular with the search engines, and more people were finding us. Through traveling around the country and giving ‘training talks’ I made a great many connections with other mental health organisations, and I also met Ella, who very quickly became a massively positive member of the Management Committee (Ella is no longer part of the Committee, but we hope to invite her to return soon). The more talks I gave, the more talks were requested, as organisations began to recommend LifeSIGNS. In 2004, we worked incredibly hard to produce the LifeSIGNS Self Injury Awareness Booklet 2004 and publish it for free on the web, and for a small price in hard-copy. We did this, as a team, in time for Self Injury Awareness Day (March the 1st) and the SIA Booklet has been enormously popular, tens of thousands of people have read it. We intend to revise it every year for March the 1st. In 2004, we attempted to launch ‘e-Listening’ an email listening service. We created a great Manual and Policy, and began training volunteer ‘Listeners’. During development of this exciting service, as a Committee, we felt that we were not ready to take so much responsibility for our members and our volunteer Listeners, we didn’t feel comfortable asking so much from our wonderful volunteers. e-Listening has been postponed indefinitely. We learned a great deal during the process though, we believe our members want e-Listening, and a Phone Line, and so we have aims to provide such services in the future. We launched the LifeSIGNS Message Board in early 2004, and it is a strong, friendly community. Message Boards are nothing new to the web, there are hundreds of self injury related message boards out there; but ours is different. We endeavour to create a safe place for people who are effected by self harm. We are not without our critics; it has been said that *all* message boards are ‘dangerous’, and that it is irresponsible to allow emotionally distressed people to ‘meet’ online. We believe in talking out our emotional distress, and reducing our self harm, and so we continue to run and support the Message Board. 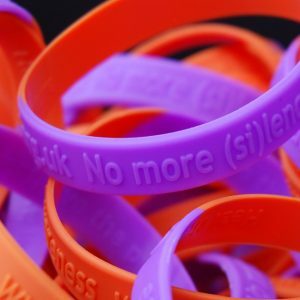 With the launch of our new purple website at www.lifesigns.org.uk we are now looking forward to becoming a charity, and of providing even more services to our members and other people effected by self harm. We have had a couple of Management Changes through the years, from the Committee in 2002, we now have only one of the original members. We are pleased to have attracted new Management members (Directors as we call ourselves for short) from around the United Kingdom and further, and with new people, new ideas and new drives, we hope to improve and consolidate our skills, knowledge and understanding. The LifeSIGNS Voluntary Organisation became the LifeSIGNS Charity on the 14th June 2006, however, in Nov / Dec 2007, the LifeSIGNS Voluntary Organisation was re-launched, and therefore is no longer a charity. You too can join the Management Committee and direct the development of LifeSIGNS, contact us for details! We have a large new team, and we’re working harder than ever to raise awareness, create understanding, and smash stigma.